NOTE- The following review contains spoilers. 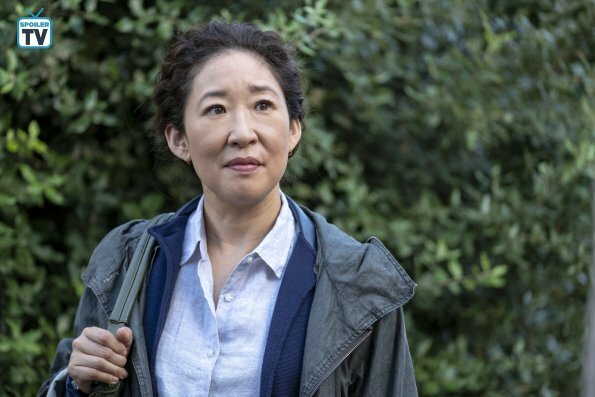 While a great deal of the attention regarding the return of Killing Eve has been on its lead, Sandra Oh, she has been quick to point out the impact her co-star, Jodie Comer has had on the success of the show. The second episode of the new season, Nice and Neat (2x02), features Comer at her very best. The episode belongs to her from beginning to end as she exhibits formidable range in showing us Villanelle as we've never seen her before. In this episode, we see Villanelle bedraggled, weak, vulnerable, frustrated and dare we say even scared. One could even say that in this story Villanelle is the one thing she's never been, a victim. But, in the end, she is as always, a survivor. The performance and gamut of emotions on display are a testament to Comer's grasp and understanding of this character. She once again makes the audience feel for and sympathize with a character that is supposed to be the villain of the show. The tone of the episode is set right away as Villanelle makes it into England in the back of a family SUV and slips away still sporting her new fashion style of superhero pajamas. After taking refuge and falling asleep in a laundromat, she awakens to find her stash of medicine she'd stolen from the hospital has been stolen from her. It wouldn't be the first time in this episode that she is victimized. Stealing clothes from the laundromat she reacts in typical, petulant Villanelle style as she leaves. Next, dressed in more atypical Villanelle fashion, she goes to a grocery store, where she is shocked by the first look at her beaten, bedraggled self. Slapping on some blush from a makeup display, she regains a little confidence and goes shopping. While most shop in a grocery store for food and sustenance, Villanelle shops for a mark, preferable male, someone she can take advantage of and ultimately steal from to help her recover from her wound and escape. After a couple of failed attempts, she finds what she considers the perfect man, Julian (Julian Barratt) an older man, by himself in the frozen food section. Barratt gives an effectively creepy performance in the role. She's quite proud of herself as she cons Julian into giving her a place to stay. But, perhaps it's the fever and her weakened state, but Villanelle's instincts may have failed her this time. Her first clue that she'd gone from out of the frying pan into the fire should have been when she enters Julian's home to find it filled with an elaborate collection of dolls in virtually every room, dolls that he oddly talks to. While on the surface Julian may appear solicitous and helpful toward her, she grows increasingly needy and frustrated when it appears he's doing just the opposite. His actions become more bizarre when she discovers he keeps his mother locked in her room and the house supposedly because of dementia. Yet in a moment of seeming clarity, the old woman gives her a clear warning to be wary of Julian. As she grows weaker and more confused by his refusal to go get her medication, Villanelle's frustration grows to the point where, after Julian leaves the house, locking her in, she calls her former employers, the 12, for help but they deny her existence. Sick, weak and vulnerable she then calls MI6 and asks for Eve Polastri, but they're never connected as Julian returns and pulls the phone cord from the wall. Villanelle's survival instincts kick in and in true assassin style, she fights and kills Julian before making her escape and finds a new handler from the 12 waiting for her. 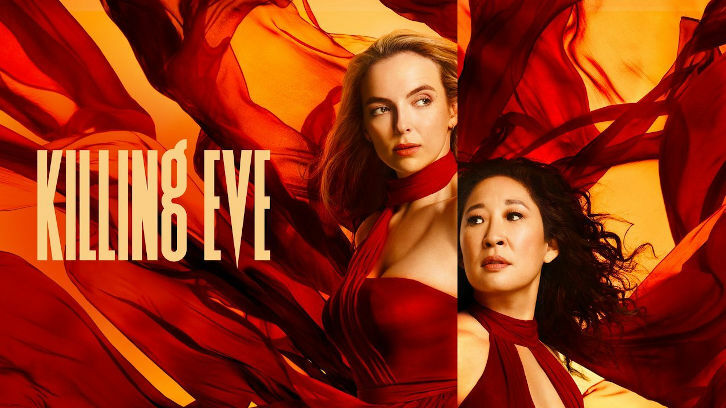 Meanwhile, as Villanelle has been dealing with the psychopath that's even crazier than she is, Eve is meeting her new MI6 team as they begin investigating the murder of the internet mogul. She's excited to see that Carolyn's son, Kenny (Sean Delaney) is part of the team, and then has her first encounters with new team members Jess (Nina Sosanya) and Hugo (Edward Bluemel). During the investigation, she makes several discoveries. She finds the first sign that Villanelle is still alive and thinking of her when she finds the story of the young hospital patient who was murdered. When she receives the crime scene photos she finds a message from Villanelle in the victim's hand, an apple with a single bite taken out of it. Next, they discover that the mogul was murdered, but it is the subsequent discovery that, to Carolyn's slight chagrin, has Eve almost giddy. What they discover is that the mogul was not only NOT a victim of Villanelle, but that also there is another female assassin, a Ghost, that has been operating for a while. Eve's not sure which excites her more, the existence of this new assassin or how upset Villanelle is going to be to discover she has competition. When word of Villanelle's aborted attempt to call MI6, Eve and Carolyn track the call to Julian's house and find his still warm body with a toilet brush stuffed in his mouth, another message to Eve (remember Eve tried to fight Villanelle off with a toilet brush when the assassin broke into her home last season). Carolyn declares that now that they know Villanelle is still alive Eve will need protection. She then takes Eve to her home to speak to someone she believes can help them. 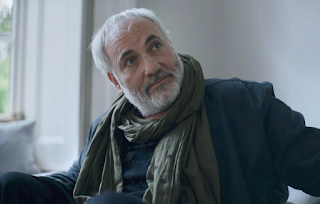 But, she is uncharacteristically coy asking Eve not to be annoyed with her, because as Eve enters the room she finds none other than Konstantin Vasiliev sitting on Carolyn's couch, waiting for her. Which twist in Nice and Neat surprised you most, the ghost assassin or the return of Konstantin? What was your favorite line or scene? Discuss in the comments below.